I figure it's time for a bit of Spring in the classroom. 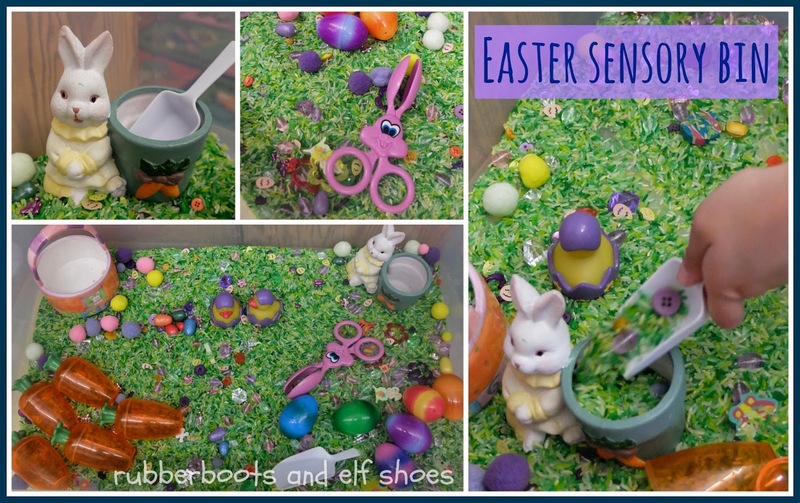 Time for a new sensory bin - an Easter sensory bin. I used dyed rice as a base - green for grass. I checked out the neon food colouring, but the green was very yellow - too yellow for grass. So, I used the old traditional food colouring green as well. The different greens work well together. Now to add the bits and pieces. still needs a bit of "sparkle"
and found the cutest little duckies - they even light up! I always enjoy watched the kidlets interact with the sensory bin. They always think outside my box; it is never a completed project. 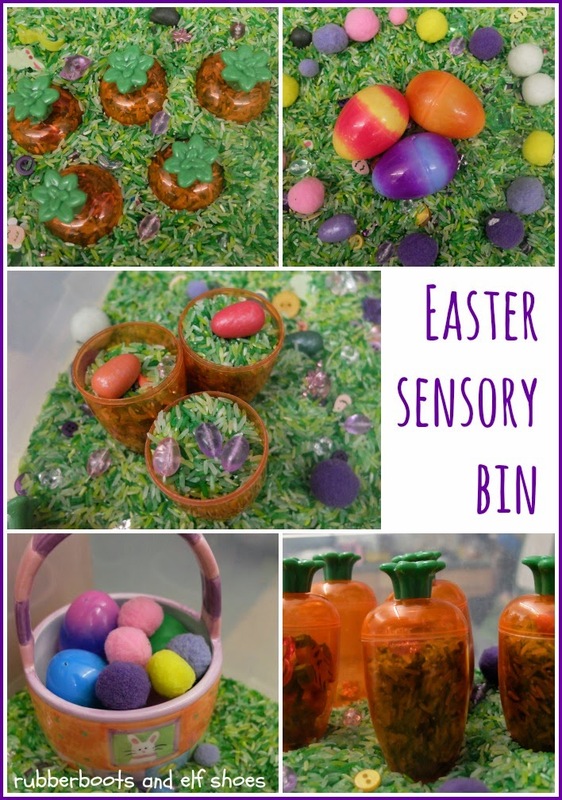 I always meander through the blogosphere and check out Pinterest to see what brilliant ideas are being shared before I make a sensory box for my kidlets. Modern Preschool - a bunny tail bin! I totally miss working with prek students. We used to do something similar. Great ideas! Thanks for sharing! kindergarten kids are a lot of fun (and I have a fun creating the sensory boxes)! This looks fun. just letting you know I've featured them on the Sunday Showcase. 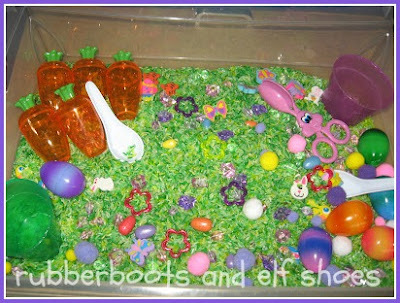 This is a great Easter Sensory bin - so cute!